The past few days in Anchorage have been wet and gloomy, and I've been in a funk. It seems I've snagged myself in this emotional loop of stress about my coast trip, insomnia, and missing Beat. I know — I'm usually so thrilled just to be in Alaska that I can easily leap over the everyday angst. But I think a combination of the weather and the fact I left California with a lot of loose ends to wrap up, have made the transition tougher. I've even met with a few friends in town, but it didn't really cut through the loneliness. Beat calls three times a day, and this just makes me miss him more. I keep refreshing the race tracker instead of focusing on what I should be doing, then lose focus altogether. 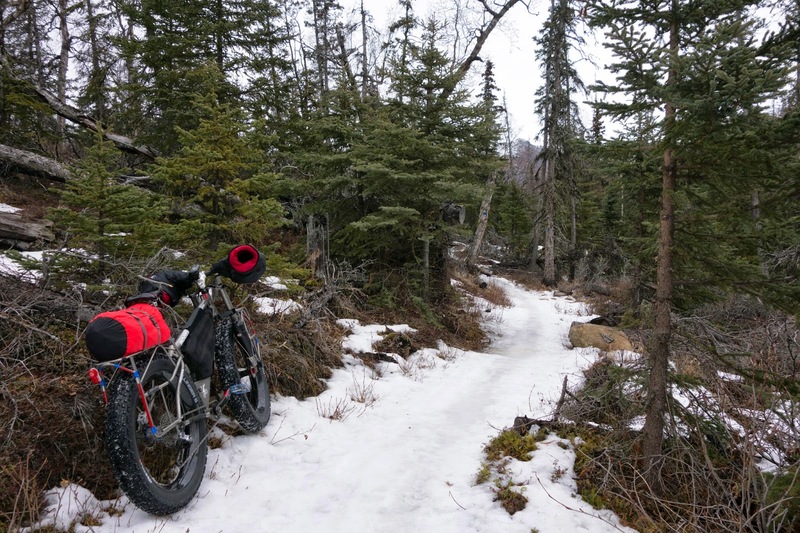 I scour the one duffel bag of gear I brought with me and make little piles, trying to determine what to take to Unalakleet, where it should go on my bike, and why. Then I re-arrange the piles. I gathered everything I needed for an overnight tour here in Southcentral Alaska, and then nixed those plans because of rain. I feel wistful and wish I was just walking to McGrath with Beat, even as wet and miserable as it all sort of sounds right now. Alas, I suppose this is what happens when you take a California dweller who doesn't even realize she's addicted to sunshine, and put her in what for all practical purposes resembles late-term break-up season in the north. I know deep down I'm glad to be here; I just have to push through the surface gloom. I've enjoyed watching the Iditarod Trail Invitational so far. A nice freeze-up just in time for the race start created hard-packed, dirt-like trail conditions, prompting another year of record times for the lead bikers. This turned out to be a narrow window that closed quickly, and now those still out there are slogging through wet snow and thawing conditions. These things are to be expected and Beat is taking it in stride, still moving well on his way over Rainy Pass. A bout of sleeplessness last night at least prompted me to finish up some accounting I've avoided (tax season for the self-employed. I can't stomach doing it all at once, so I break it up into slightly more palatable pieces.) This was the last item on my immediate to-do list, so today I got out for what turned out to be a five-hour ride around Anchorage trails. 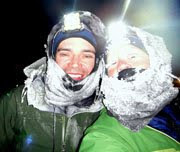 The trail conditions were consistently bad — I effectively rode 31 miles of slush and glare ice, wearing microspikes on my boots so I could hike out the worst sections. A misty rain fell all afternoon, which had a strange effect of making the climbs feel humid and hot, and the descents clammy and frigid. I wasn't loving the ride but stuck with it, mainly because I hoped a long ride would improve my mood. And actually, it did. After three hours I gained more confidence in my studded tires and relaxed enough to find a rhythm. I find sometimes when I'm in a flow, I lose all visceral sense of time and place, residing only in each fleeting moment. This meditative state reliably leads to startling snaps back to three-dimensional reality, where surprises lurk. This moose crashed through the brush as then stopped at the edge of the trail as though waiting to cross a street. I slammed on my brakes because, yikes, moose! Then we had a three-minute standoff that carried an air of politeness — "After you. No, after you. No, after you." Finally it became clear that she was not going to continue until I was gone. 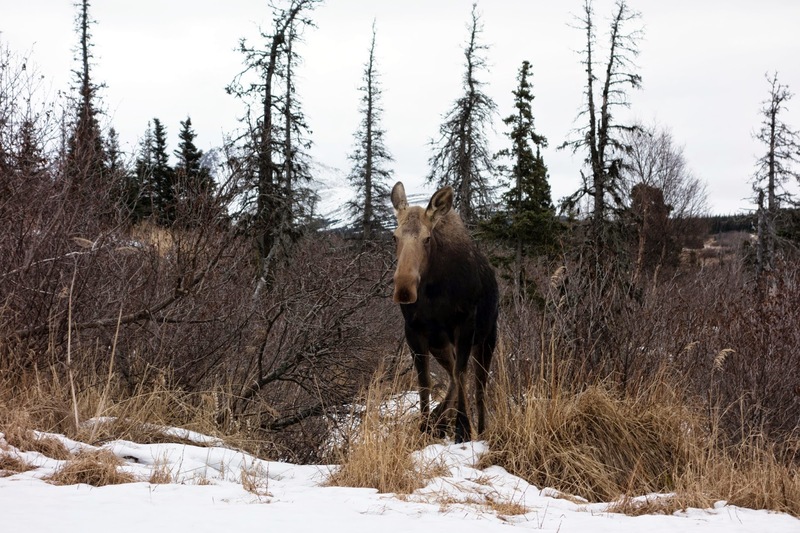 Passing her was my only way forward, so I did, stealing a quick snapshot as I went by (Moose make me very nervous. But she didn't appear agitated, so I didn't sense danger.) 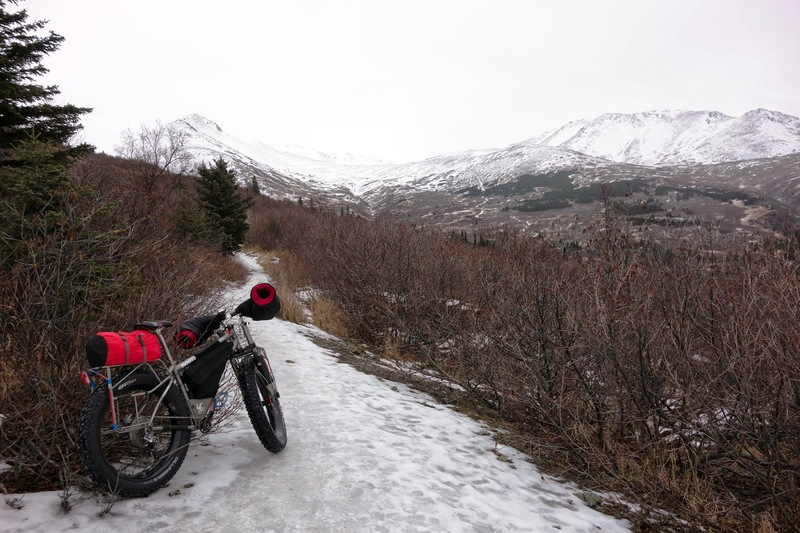 After that I had a good laugh about forgetting completely that I was even in Alaska, let alone riding slush ice rather than dirt. I was just out for a bike ride. Still, I think it will be good for me to get out of town, so I'm heading north on Thursday — a few days camping in the Denali area, and then Fairbanks. Beat is starting to find his flow as well. The first few days are always difficult as bodies settle into the new workload and minds adjust to the wildly swinging emotions and solitude. This is why he sets out on these journeys — to find the deep vein of strength and serenity that is often buried under our everyday angst. I could use this attitude adjustment as well. Everyday angst...... Ain't that the truth. Winter has a way of making the loneliness set in with its gloomy, gray days. Hoping for brighter days ahead! Interesting encounter with the moose!! I, too, have been in a bit of a funk this winter and keep going back and forth on whether I should do the WM100 or not since my knees are worse than last year, I'm not in the shape I should be, etc, etc. We can compare notes when you get here to Fairbanks. At least we have snow and temps will be below zero next week! I always think any ultra time consuming endurance event of any sort is that search for something against the everyday tedium and or angst. Kinda why most folks seem to want to escape via many avenues or even drugs. Loved the moose stare-down. I've been attacked by a wild turkey before so I couldn't even imagine a moose charge. Keep your head up.